South Shore middle school girls took a field trip to Microsoft campus in Redmond. The girls were checked in and then seated at tables of eight to ten with computers. The girls spent the morning working on coding a turtle. 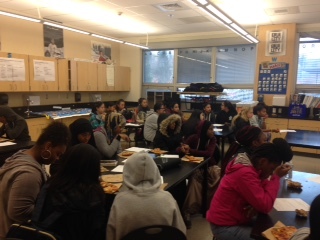 Date: February 27, 2014 Hi All, We had a great day at Microsoft with 40 girls from Ballard High School and South Shore K-8 . South Shore K-8 girls visited the Xbox Lab and Ballard HS girls visited the Envisioning Center.